Message 1008217 - Posted: 25 Jun 2010, 18:17:20 UTC - in response to Message 1008207.
no support via toolbar for Chrome though, but IE and probably other browsers will go! Install it and help SETI in fund-rising! And if you do purchases on eBay as most of us do it will help too! 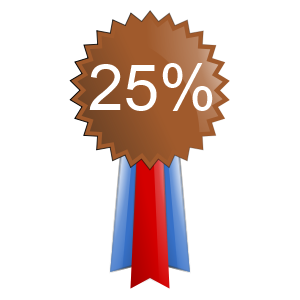 I just recived : your purchase will give 25-37% to SETI as donation! How pity we didn't have this earlier!!! Message 1008232 - Posted: 25 Jun 2010, 18:39:16 UTC - in response to Message 1008207. "If 5000 participants each donated $100 the project would have enough money to really consider possible expansion rather than just minimal maintenance. Or 50000 participants (less than a third of active participants) donating the minimum $10 would do the same. In my mind, what they get from grants is great, but any grant is aimed at some specific goal identified in the grant proposal. Am I wrong to think that probably many participants have considered donating but put it off in favor of buying another coffee at Starbucks, etc. because that's an easier and more familiar way of disposing of cash? Has the effort to set up a non-profit situation such that S@H could accept PayPal donations totally died? How many participants have considered using Goodsearch to generate at least some small cash flow to S@H? abused by the cheer leaders for even commenting. Message 1008235 - Posted: 25 Jun 2010, 18:44:03 UTC - in response to Message 1008226. IMO it's second-order moments. I used Chrome and Nigma as search engine, but surely installed this toolbar in IE and will make all new searches and eBay purchases via it! Message 1008236 - Posted: 25 Jun 2010, 18:46:51 UTC - in response to Message 1008232. Make distinction between BOINC and SETI@home project. They are closely connected, but it's not the same. Here we donate to SETI, not BOINC. And latest troubles came from BOINC part solely, keep this in mind! Message 1008239 - Posted: 25 Jun 2010, 18:50:52 UTC - in response to Message 1008236. Message 1008241 - Posted: 25 Jun 2010, 18:56:31 UTC - in response to Message 1008239. Message 1008243 - Posted: 25 Jun 2010, 19:00:56 UTC - in response to Message 1008241. Well, Robert would have you believe that even RAID drive array crashes are the 'fault' of the Seti staff....LOL. $100.00 from the kitties to Seti on June 4th. Message 1008254 - Posted: 25 Jun 2010, 19:37:04 UTC - in response to Message 1008226. Message 1008285 - Posted: 25 Jun 2010, 20:17:20 UTC - in response to Message 1008239. Robert - please get a sense of perspective and stop trolling.. I work in IT, and with the resources the seti staff have it is nothing short of a miracle that they keep it up so much. Milions of clients connecting every day and huge databases and a maxed out ethernet link equal nothing but trouble. If it bothers you that much, stop complaining and donate.. This has finally convinced me that I need to, so check back on payday and you will see I have a green star, I hope you have the decency to do the same.. Message 1008293 - Posted: 25 Jun 2010, 20:36:32 UTC - in response to Message 1008285. Just signed up for Goodsearch. Does anyone know if we can see any statistics about how much actually reaches S@H? That will give me something to look at when I don't have WUs ;). Message 1008330 - Posted: 25 Jun 2010, 21:50:12 UTC - in response to Message 1008207. I will donate, and I will donate much, when PayPal works for donations to SETI. Until then my only donation to SETI is crunching and electricity. SETI misses out on hundreds of thousands of dollars by not having the PayPal option. Most people from outside of the U.S, will not donate unless there's a PayPal type of option. It's too complicated as it is now, and bear in mind that the rest of the world does not use credit card payments in the same way as people in the U.S does. Most people from outside the U.S, will refuse using their VISA/Mastercard directly for such a donation. I for one, refuse to give out my VISA card number online to ANYTHING. Also remember that participants from the rest of the world, can not claim tax deduction for such a donation. I repeat myself: Make PayPal an option, and cash will start flowing in, in a way never seen before. Until that happens, SETI will run on a shoe string budget forever. Message 1008348 - Posted: 25 Jun 2010, 22:25:29 UTC - in response to Message 1008326. I apologize if it is rude to answer your own posts, but just found this. 36 cents in January to $2.63 in May is a good trend, but we need many more people to sign up to make any difference. Also, IE8 closes and opens just fine for me after installing Goodsearch. And you can leave other toolbars open, if you like. Don't know, maybe the Goodsearch toolbar conflicts with some other stuff I have installed. Anyway, I don't like have a toolbar at all, so I'll stick with searching from the IE8 search box using Goodsearch. Message 1008358 - Posted: 25 Jun 2010, 22:46:41 UTC - in response to Message 1008330. That may be the Swedish perspective, but I don't think it's fair to generalise that to "Most people from outside the U.S, ...". I use Visa credit cards online without fear (though I check the site credentials as best I can). I have had the card suspended - through vigilance by the card provider spotting suspicious transactions: the last time it happened, I'm pretty sure it was skimmed at a big-brand car parts store just three miles from my house - a physical purchase, where the card never left my sight. But for SETI, I prefer to use my Visa debit card - smaller fee charged by the handling company, better exchange rate (did someone say it was good at the moment? Must check - I'm getting close to star renewal date), and no problems at all in previous years. Message 1008367 - Posted: 25 Jun 2010, 23:09:01 UTC - in response to Message 1008358. Well I do not have any credit card, I refuse using credit cards, having the perhaps unusual philosophy in todays society, that if I do not have the money to buy things, then maybe I shouldn't buy them at all. My VISA card is a debit card, but as I said, I refuse to give out my card details online. Logging in to my bank though, I can easily transfer money to my PayPal account, but since SETI doesn't accept PayPal payment, then they obviously does not want my money.